Testing the quality of water. Access to water is a major problem for the people of baifi-krom community and as a result majority of the school kids in baifi-krom primary/J.H.S spend hours in the morning in search of water to bath and for domestic use before going to school. This kids get to school very late and end up sleeping while teaching is in session and this makes learning a problematic for the kids and the teacher. 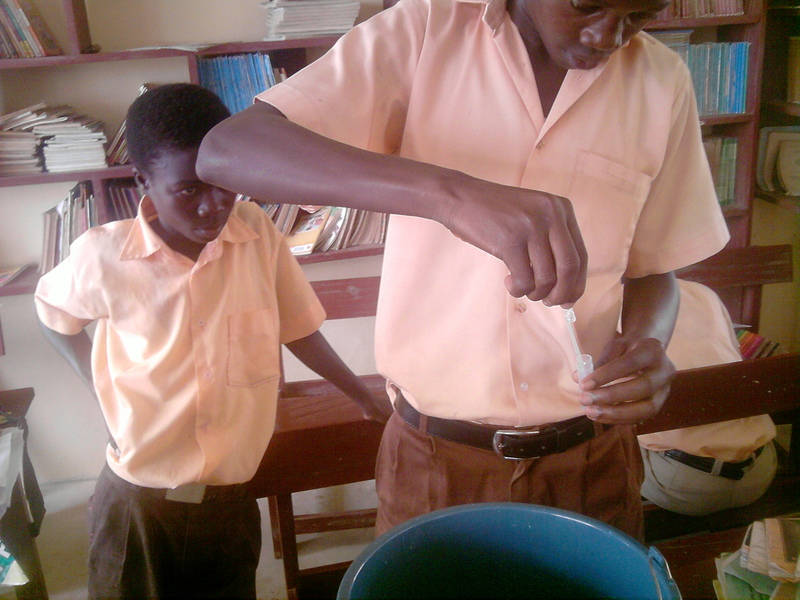 Earth Child Institute provided us with Water Test Kit, which assisted us to ascertain the quality of water that the community depend on for domestic used. 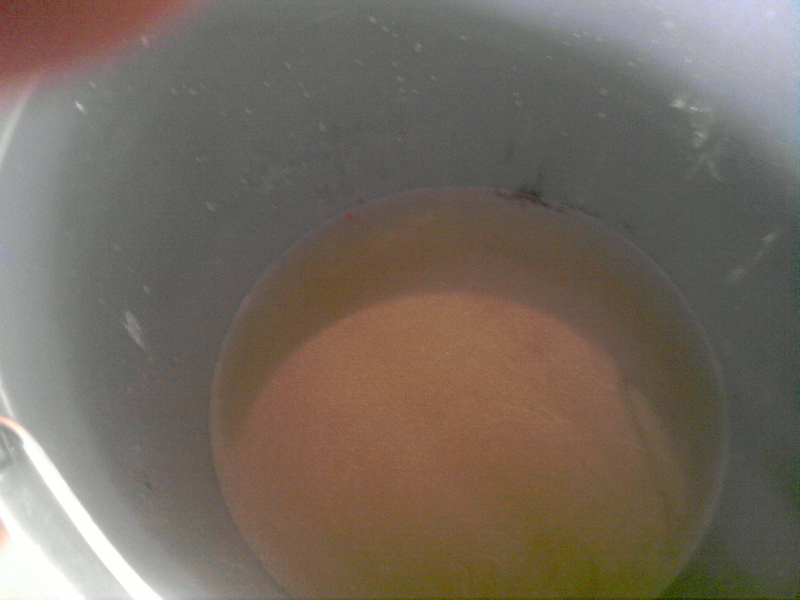 The students through their teacher (ECI facilitator) tested the water and the result was negative. 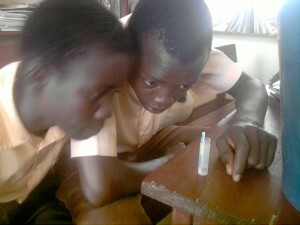 This was an exciting experience for this kids as they conducted the test themselves. This entry was posted in GAC Ghana by GAC Ghana. Bookmark the permalink.